Iowa has an exciting array of attractions just waiting to be discovered. Iowa City has been named a UNESCO City of Literature and many accomplished authors have called the town home. 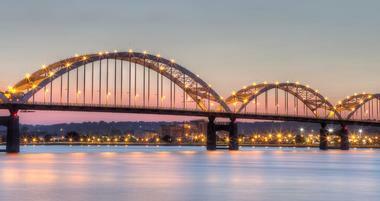 Plan a romantic weekend getaway or a family vacation to Davenport, Iowa. Iowa is home to beautiful scenery, a diverse choice of outdoor activities and unique attractions such as the Crystal Lake Cave and West Lake Okoboj. 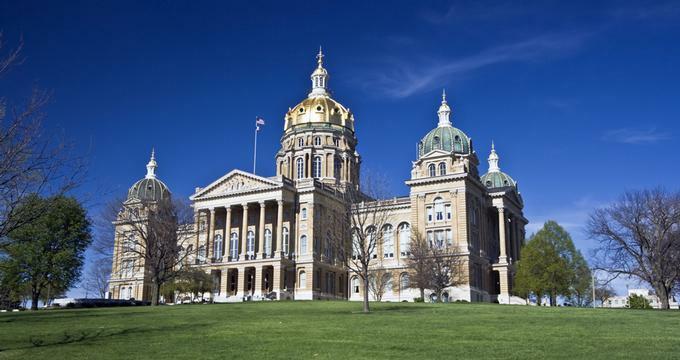 Head to the capital of Iowa to visit the city's beautiful parks, museums and attractions. 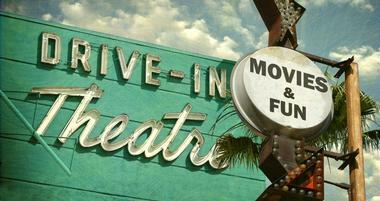 Back in the 1950’s, almost seventy drive-in movie theater were in operation in the state of Iowa. 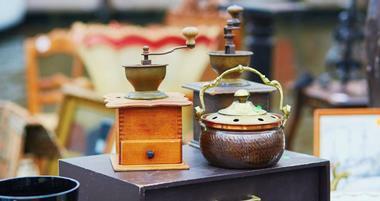 Flea markets are one of the best places to head to if you’re in search of unique items like antiques, collectibles, and other goods that are hard to come by. The Midwestern state of Iowa is no stranger to beautiful weddings, with many unique locations available to couples from all over the state as well as the nation. Experience Iowa’s incomparable natural beauty and their varied array of outdoor activities by visiting any of the state parks and recreation areas on our list. Sitting between the Mississippi and Missouri rivers, Iowa is the state known for its cornfields and rolling plains. 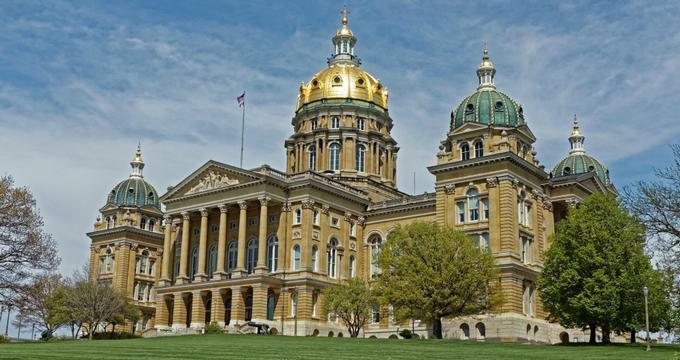 The capital Des Moines is modern city with deep historic roots, with landmarkssuch as the 19th-century gold-domed. The city of Cedar Rapids has a renowned Museum of Art with a number of paintings by native Iowan artist Grant Wood. Iowa city has the fascinating University of Iowa Museum of Natural History with prehistoric tools and fossils. Dubuque is the Iowa oldest city, stretched on the banks of the Mississippi River. Ames is small college town and Pella is fabulous place to visit during the Tulip Festival, celebrating its Dutch origins. Des Moines is located at the confluence of the Raccoon and the Des Moines rivers, at the site of the Fort Raccoon built in 1843. Today, a capital of Iowa, Des Moines is a vibrant modern city with lively cultural life and large green spaces. 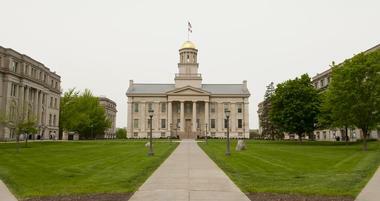 The elegant Iowa State Capitol building, with its gold-dome, dominates the East Village area. The Des Moines Art Center is the heart of the city’s visual art world and is famous for its extensive Pappajohn Sculpture Park. Magnificent geodesic dome is the most visible feature of the Greater Des Moines Botanical Garden, with its lush collection of tropical plants. Downtown Farmers’ Market is great place to sample local produce and meet people. Kids love hands-on fascinating Science Center of Iowa and wild animals in the Blank Park Zoo. 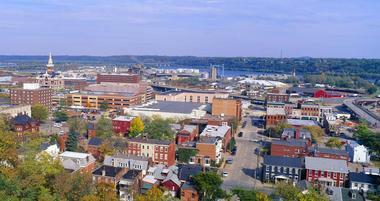 Dubuque is Iowa’s oldest city, with its life revolving around the mighty Mississippi River. To learn more about the river, its history, plant and animal life, visit National Mississippi River Museum and Aquarium with fascinating hands-on exhibits. Newly revamped riverfront is destination for fun, strolls, hikes and entertainment. In the summer, the waterfront amphitheater is the scene of many live concerts. The Dubuque Arboretum and Botanical Gardens is a beautiful oasis of colors and perfumes, with thousands of roses, Japanese gardens and other themed areas. The 19th century Mathias Ham House offers a glimpse of opulent life of the era, with a contrasting 1833 log cabin on the grounds. 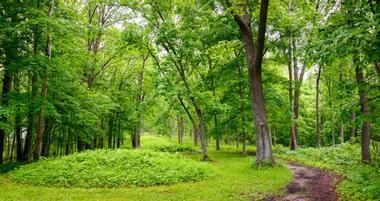 For some fresh air and a bit of exercise, stroll along the trails of the Mines of Spain State Recreation Area. Iowa City was the state's first capitol and the Old Capitol Building, now a museum of local history, is an interesting place to visit for a bit of history. More distant history is displayed at the University of Iowa Museum of Natural History, with prehistoric tools made of stone, taxidermy and other exhibits. The City Park stretches along the Iowa River and offers hiking paths, ponds and facilities for diverse sport activities. The Herbert Hoover Presidential Library and Museum describes the life of the American 31st president. Amana Colonies is a living museum with seven villages that describe the life of German Pietists who escaped religious persecution in the early 18th century. Devonian Fossil Gorge Is great spot for a hike or searching for fossils. Okoboji is a small Iowa city in Dickinson County, on the eastern shore of West Okoboji Lake. One of the Iowa Great Lakes, the lake is the city’s main attraction, beautiful, deep and crystal clear, formed by glaciers. To learn more about the lakes and the life around them, visit Iowa Great Lakes Maritime Museum with a collection of antique wooden boats and fishing tools. Arnolds Park Amusement Park offers fun for all ages, with games, rides and boat tours. You can see a curious collection of world banknotes at The Higgins Museum of National Bank Notes founded in 1978. Ranch Okoboji is the family fun park with the largest mini golf in the world. Waterloo was established near two Meskwaki American tribal camps on the Cedar River, with the first settlers arriving in 1845. 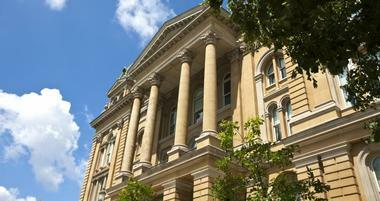 Waterloo has very rich cultural life, organized around the Grout Museum District, a group of museums consisting of Grout Museum of History & Science, Rensselaer Russell House Museum, Bluedorn Science Imaginarium, the Sullivan Brothers Iowa Veterans Museum and Snowden House. Lost Island Water Park has fun for all ages, with mini golf, go kart track, pool hall and water attractions such as slides and pools. Hartman Reserve Nature Center is a nature reserve great for hiking and watching birds and wildlife. Phelps Youth Pavilion is children museum and activity center with Book Nook and Reading Corner, Construction Zone and other activity areas. Located about 30 miles from Des Moines, Ames is small college town in which students create a lively vibe that mixes well with the city’s historic roots. Campustown neighborhood, near Iowa State University Central Campus, is full of colorful student apartments, bars, cafes, restaurants, and other unique establishments. Not far away is Old Town Historic District, with ornate old homes and interesting architecture, listed on the National Register of Historic Places. Part of it is 1874 Pleasant Grove Community Church and Cemetery. Reiman Gardens feature 14 acres of flowerbeds mixed with outdoor sculptures. Brunnier Art Museum showcases works of local and regional artists. The Farm House is the oldest building on the university campus, now a museum. Located about halfway between Des Moines and Chicago , on the banks of the Mississippi River, Davenport is an art mecca with a large number of galleries and museums. The Figge Art Museum has renowned collection of major world artworks from the 15th century to today. The Putnam Museum features 160,000 items in a range of exhibits on regional natural history and science. Vander Veer Botanical Park is a lovely, serene space to take a stroll, with trails, duck pond and flower gardens. The River Music Experience is a popular live performing arts venue. Iconic Skybridge offers fantastic views of the river and the surrounds. Davenport’s Palmer College of Chiropractic is world-known as the first place to attempt chiropractic adjustment. A number of popular music festivals bring thousands of visitors every year, such as the Mississippi Valley Blues Festival, the Bix Beiderbecke Memorial Jazz Festival and the Mississippi Valley Fair. Cedar Rapids stretches on the scenic banks of the Cedar River, about 20 miles from Iowa City. The city is a booming Eastern Iowa art and culture center and a home to the Cedar Rapids Museum of Art with a number of works by local renowned artist Grant Wood. There are also the African-American Historical Museum, Orchestra Iowa, the National Czech & Slovak Museum & Library, Cultural Center of Iowa, the Paramount Theatre, Theatre Cedar Rapids and the Iowa Cultural Corridor Alliance. Brucemore estate is a piece of local history with a beautiful 1880s mansion and lovely gardens. Bever Park is a popular green oasis with a pool, an ice rink and a petting zoo. Clear Lake is a small Idaho city on the large lake of the same name. The 133-acre deep, clear lake is the center of the city life and various attractions developed to support the lively tourism economy. 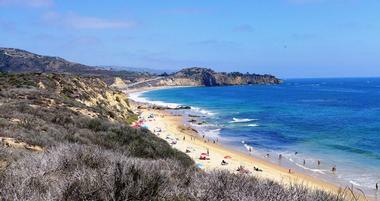 The lake is surrounded by fine sandy beaches and has a range of marinas and boat ramps. Charming historic Downtown is full of restaurants, cafes and shops. Surf Ballroom is not only the venue for many concerts but also a shrine to Buddy Holly, the last place he had a concert before his tragic plane crash. The stern wheeler ferry Lady of the Lake takes passengers on a pleasant cruise of the lake. Clear Lake Fire Museum was designed to look like an early fire station. It contains some of the oldest firefighting trucks such as a 1924 Ahrens-Fox pumper truck and the fire bell used by the Clear Lake fire department in the past. Clear Lake Arts Center showcases artworks of local and regional artists. Bellevue is an Idaho small town on the Mississippi River, close to Bellevue State Park. 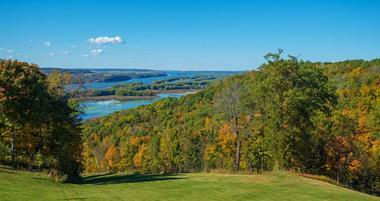 The park is an incredibly scenic spot that offers magnificent views of the river from a 250-foot tall limestone bluff. The park is a popular local recreational area and is rich in interesting archeological finds and ancient fossils. The Pleasant Creek Recreation Area is another green space locals and visitors use to enjoy the river views. Plumery Tails Malamute Ranch is a breeding farm for huge Malamute dogs, a great place to learn about this northern breed and play with puppies. Lock 12 is a popular music venue where locals go to listen to the eclectic live music and enjoy cool drinks. Ski Bellevue Water Ski Show offers acrobatic show on the river, south of Lock 12, with great music, jumping, human pyramids and glittery costumes, pulled by powerful towboats. Sioux City, known locally as Siouxland, is located at the hub of navigation of the Missouri River. Much of the city life revolves around the river and the popular Chris Larsen Park, known locally as “the Riverfront.” This lively touristy area is the location of the Sergeant Floyd Riverboat Museum, Anderson Dance Pavilion, Lewis and Clark Interpretive Center and is the boarding port for a riverboat casino. Sioux City has thriving cultural scene with the Sioux City Art Center, Sioux City Public Museum and Sergeant Floyd Monument, a National Historical Landmark. LaunchPAD is an interactive hands-on children's museum with the range of activities for kids of all ages. Pella is an Iowa city located about forty miles from Des Moines, settled by the Dutch immigrants in 1847. There are many reminders of the city Dutch heritage, such as the 134-foot tall still functioning windmill built in the 1850 and the lively Pella Historical Village with replicas of original sod houses, with workshops showing original lifestyle, including shops making wooden shoes. The Pella Opera House is another reminder of the past, built in 1900, with beautiful stained-glass windows. Pella downtown is modern busy commercial center with a canal that runs through Molengracht Plaza, the entertainment heart of the city with shops, restaurants, a movie theatre, and a working drawbridge. The annual Tulip Time Festival is the best time to visit the town. It features colorful tulip gardens, live performances, music and Dutch food and costumes. Burlington is a historic Iowa town on the Mississippi River with wonderfully preserved downtown area with a number of beautiful buildings that have been listed on the National Register of Historic Places. The Heritage Center Museum, located in the 1898 former library is the great place to learn about the history of Des Moines County. Starr's Cave Park and Preserve is a 185-acre green forested area with scenic limestone bluffs, hiking trails, and a nature center with hands-on environmental displays. Huck's Harbor waterpark is popular family summer entertainment spot with slides, lazy river and pools. Snake Alley is the Burlington's famous landmark, known as the "Crookedest Street in the World." Le Claire is a small city in Scott County, Iowa, on the bend of the Upper Mississippi River. For a small town, Le Claire has a number of interesting attractions. Located on the riverfront, the 1917 Buffalo Bill Museum tells the story of the life of Buffalo Bill through many items from his Wild West Show. The museum also displays other items that feature history of the region and life on the river. One of the exhibits is the Lone Star, a wooden steam-powered , paddlewheel towboat that has a separate place in a special pier. Local antique store Antique Archeology reached national fame in the reality TV show American Pickers. Le Claire is famous as the great place to observe annual migration of bold eagles. Mount Pleasant is a small city in Henry County, Iowa, founded in 1835 by legendary pioneer Presley Saunders. Among many buildings that showcase the early life of Mount Pleasant, the ornate Italianate Harlan-Lincoln House is the most beautiful. It is located on the Iowa Wesleyan College campus. The Midwest Electric Railway operates several open air street cars on the Old Threshers grounds. The Theatre Museum of Repertoire Americana has a fascinating collection of items that commemorate the early repertoire theater, such as painted curtains and beautiful historic costumes. East Lake Park is a popular local recreational green space with three field softball complex, two playgrounds, three sand volleyball courts and much more.